Do Online Colleges Offer Sibling Discounts? Sending multiple kids to college at the same time can be financially devastating, but some colleges offer sibling tuition discounts that can alleviate at least a portion of the financial burden. The cost of tuition at both traditional institutions and online colleges is on the rise, and this can become a real problem for parents of children who are close in age. This is why you need to look at various ways to cut costs so that your college-bound students are able to get the education that they need to start a career. Read on, and learn about sibling discounts and where they are available. There are various types of aide, scholarships and grants that both parents and independent students can apply for to cover a portion or a majority of the cost of tuition and other educational expenses. In order to qualify for most types of aide you will need to demonstrate a financial need. Unfortunately, many families have incomes beyond the threshold and this makes them ineligible for assistance. Just because a student or parent earns income beyond the threshold does not mean that they can comfortably cover tuition costs for two or more kids at once. This is where a sibling discount can become very helpful. What is a Sibling Discount and How Do You Qualify for One? A sibling discount is a discount that is given by colleges when parents have two or more children enrolled in the same college simultaneously. The school may offer discounts off of the application fees, tuition fees, and other costs as soon as a sibling enrolls to a school that their sibling is already attending. The discount will also apply to twins, triplets, etc., who enroll in classes at the same time and can prove that they are related. How much you can save with this siblings credit or grant depends upon the school. Some schools will take $1000 or more off of the cost to attend and others will offer grants that total up to $12,000 if multiple students are studying at the same time. While these discounts are not frequently advertised, they are available at many online and traditional schools. 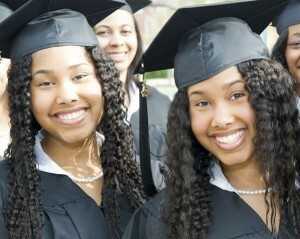 You will need to contact the financial aide department and inquire if your youngest child is about to apply to college. If you are trying to plan for the future, it can be helpful to identify which schools have the best policies in place. Mostly traditional schools have these programs, but some online colleges have followed suit. There are also colleges and universities that have online degree programs which will give siblings the flexibility they need and the freedom to decide whether to study on-campus or online. In today’s employment market, inexperienced job seekers almost definitely need a degree to develop skills and to market themselves. Parents who have tried to save for the costs for each of their children find it difficult to pay for college when they have kids close in age. This is why sibling tuition discounts have become valuable money-saving tools.